Brushing and flossing every day helps but professional teeth whitening by Dr. Mjahed in Monroe NC will keep your teeth white and healthy. If you feel that your smile is lacking some sparkle and have used in-home options like strips, gels, toothpaste etc., you should try consulting a cosmetic dentist. Teeth change color for various reasons like tobacco use and age. Taking too much coffee and tea. Use of certain medications over a long time. Prolonged use of tobacco products. 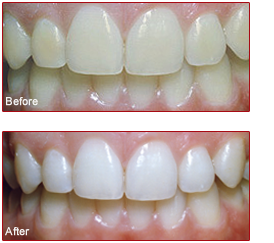 Preventative dentistry is essential to avoid discoloration of teeth. Therefore, you can avoid taking things like tobacco to prevent discoloration. The Professional teeth whitening procedure entails a procedure carried out by a cosmetic dentist to restore the tooth’s surface color by getting rid of stains, dirt, and debris. Understand that there are various teeth whitening options. Moreover, not all options are suitable for your teeth because people and situations are different. Therefore, consult with your dentist to understand your situation and get the most appropriate option. Here are a few whitening options. It is also known as chairside bleaching. You will have to visit a dental visit for the procedure to be carried out. Your dentist will apply a protective gel or a rubber shield to your gums. The dentist will then apply bleach to the teeth. Laser or a special whitening light is used to improve the action of the bleaching agent. There is a special toothpaste used for safe whitening. Such toothpaste has a special polishing agent or chemical to offer additional stain removal effectiveness. Note that they are different from the normal toothpaste, which only removes stains on the surface. Whiteners containing peroxide usually bleach the tooth enamel. They come in the form of a gel, which is placed in a tray that fits on teeth. You can also use a bleaching strip that sticks to the tooth. The bleaching agent has a lower concentration than the one used by dentists. Sometimes these procedures cause teeth sensitivity, which is a temporary situation. However, don’t worry about that because you can treat sensitivity after the procedure using these tips. Overusing whiteners can cause damage to your tooth enamel. Therefore, make sure you follow your dentist’s directions. Additionally, preventative dentistry comes in handy to avoid going through whitening procedures now and then. Call our reliable dental clinic for an effective whitening procedure. Professional Teeth Whitening in Monroe NC. Brushing and flossing every day helps but professional teeth whitening by Dr. Mjahed in Monroe NC will keep your teeth white and healthy.